To make sure all cards are open before you place an order at our service, we would like to tell you a little about our company, values, and principles of servicing clients. We hope it will give you more reasons to choose us. And if not, we will know you did not make a decision to leave for the lack of information from our side. 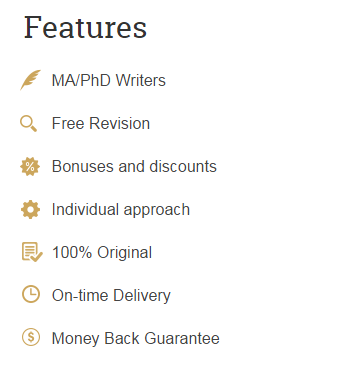 Pay4essays.net started as a small hub of writers that provided writing assistance on demand. Today, it is a full-grown network with administrative, billing, and support teams that aims to satisfy all kinds of writing needs of its customers. When we started, there were only a few papers on the list of available orders. Today, the number of the types of work we can help you with have passed 30 and includes non-word assignments as well. Customer orientation. Customers are at the center of all activities happening at pay4essays.net. It is you who provide specifications for a paper, it is you who control the writing process, and it is you who decide whether the work has been fulfilled at the appropriate quality level. Value for money. Frankly, we do not aim to be the cheapest company out there. Our primary goal is to make sure our customers get what they pay for. That is why our price to quality combination is one of the most beneficial in the industry (as far as we can assume from analyzing our competition). Financial transparency. The price for every order is displayed before the customer submits the ordering form. Also, in line with this value, we never apply any hidden charges. A customer pays once and gets everything they can get for the amount paid (which is usually a lot). Besides the core values that our company rests upon, we also have customer protection guarantees to seal all the possible leaks in our customer service process. Such guarantees are there to protect you against dissatisfaction, costs and generally unpleasant experiences. All papers that we write for our clients, be it a short essay or a dissertation, are original for at least 95%, which is enough to survive even the most stringent originality check. All deadlines requested by clients are met, no exceptions. If a deadline can’t be met, your order will not be accepted. All your informational and other queries are addressed in real time via phone or live chat. Do not hesitate to ask! Your identity remains protected. All orders are anonymous in our processing system, which guarantees that no one will find out you have used our service (unless you want them to, of course). These values and guarantees are what makes us a perfect choice for your writing needs. We know we can make you happy, paper-wise. Give it a try today!